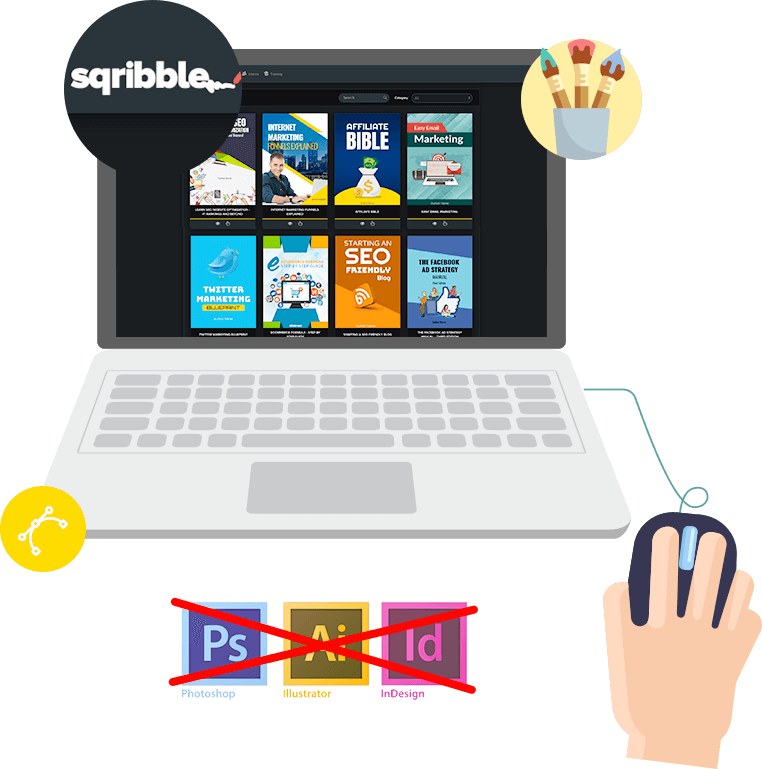 LONDON, UK, 2018-Nov-14 — /EPR INTERNET NEWS/ — Adeel Chowdhry a highly sought after online entrepreneur and speaker with over ten years of experience in the digital industry has announced the launch of a new eBook creator called Sqribble. Sqribble is powerful eBook creator that allows anyone to instantly create stunning eBooks and reports and fill it with awesome content at the push of a button. The tool offers a collection of 60 professionally eye-grabbing designs across 15 profitable niche categories. They are so well designed that each template comes with table of contents and professional page layouts that convert readers into loyal customer. A list of examples is provided on the URL above so Business owners, Site owners, Authors, Writers, Publishers and Bloggers can see how they can just enter a URL from their website and watch Sqribble automatically fill pages with fresh, ready made content. eBooks hit record high as 50% of Americans say they own a tablet or reader. eBooks are taking over and are the best way to kick start your digital business today. Sales for eBooks are growing, but have leveled off over the past couple of years. They are believed to comprise 25 to 30 percent of the general trade market with commercial fiction especially popular for eBooks. “The proportion of Americans and British who reads eBooks is growing, but have completely replaced print books for electronic versions” said Mark. The percentage of adults who read an eBook in the past has risen to 28% up from 23% at the end of the year. Sqribble allows business owners and marketing professionals to quickly and easily create eBooks that can improve their lead generation and sales. According to the latest research, eBooks can increase sales by up to 80%, which means business not harnessing its power are missing out. eBooks can also be used with email marketing as a way to increase leads and get more visitors clicking through to the company website. Even just using the word “eBook” in a email subject line can increase open rates.